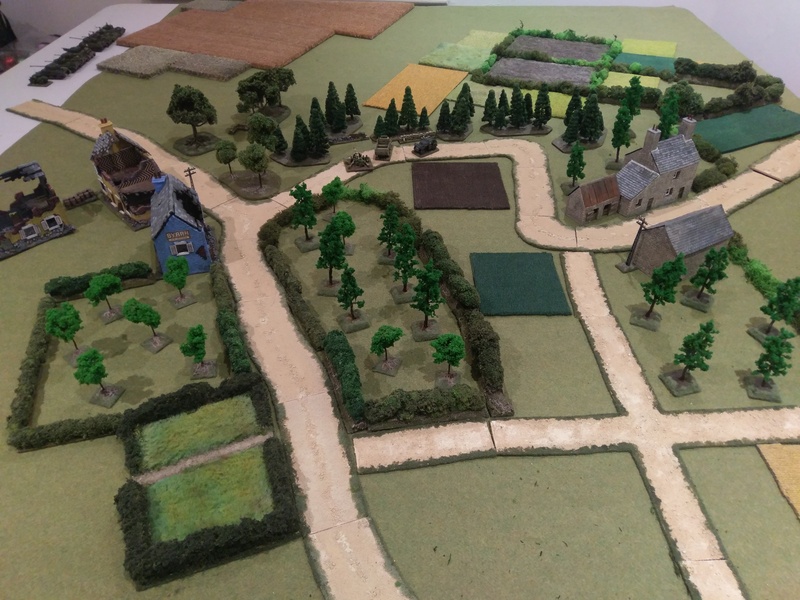 Anyone with an interest in the Normandy landings would be keenly interested in the action around Saint Lo that happened in June and July of 1944. This book, published by Pen And Sword, who kindly provided me with a copy, goes through day by day accounts of the action. Beginning at Omaha beach it gives various accounts of the American and German actions from there up to the attacks on Saint Lo. George Bernage has collected actual first hand notes from various people who were actually involved as well as his own version of events. From a factual point of view this book has lots of information, including a lot of maps and a lot of details of units involved in each engagement. So if you want to find out factual information regarding this period then this is a source. Trouble is i found things very difficult to follow throughout the whole book. The text does not flow and the story is often lost as there is no linked narrative that takes the reader easily through the story. I often found myself lost in facts and lists and had no clue where we were. Even when first hand accounts are directly quoted i sometimes found it difficult to place them in context of the overall story. Adding to the confusion are the maps which quite often are very difficult to interpret. Maybe i am being harsh but i found this book very tricky to read and follow exactly what was going on. As a bunch of individual tales and events from around St Lo it is a informative book. As a story with a beginning, middle and an end, and a feeling at the end of satisfaction that your story is complete, this book fails. As a bunch of information, historical facts, unit details, first hand accounts of events that happened at that time, plus maps of all the areas involved for reference, this book succeeds. Its a bit like someone making a scrap book with all sorts of relevant information and not really linking them all up together. The abundant photographs are fantastic and well worth having a look at. I think if i want to recreate any engagements from this part of the war on my battlefield this book will come in very useful. But from an enjoyable and exciting reading perspective it misses the mark. 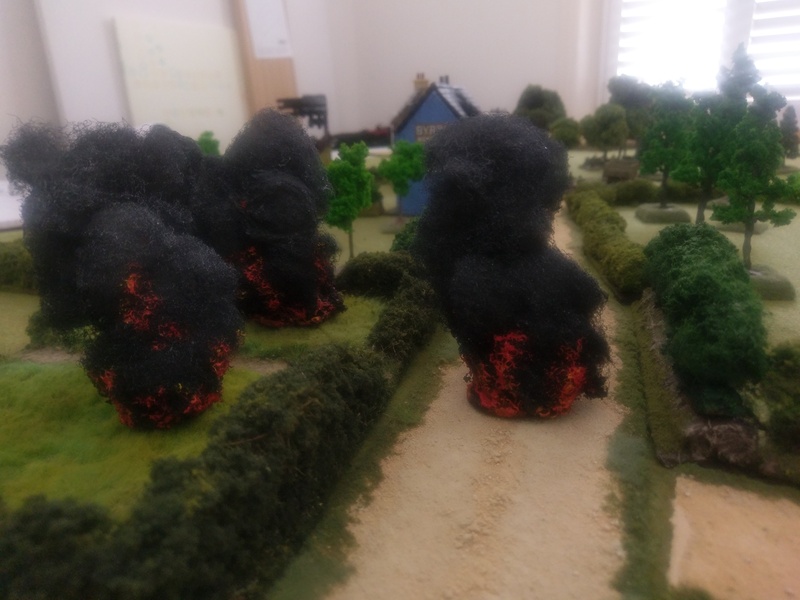 A few months ago I picked up a copy of the I Ain’t Been Shot Mum rules from Too Fat Lardies as I think I am addicted to reading wargames rules. I have read other people say the same thing. I just love reading rules even I don’t end up playing them. Actually I have copies of Rapid Fire and Nuts that I am yet to have a look at. Its a like a wargames equivalent of heroin. Always keep a supply stashed away somewhere. 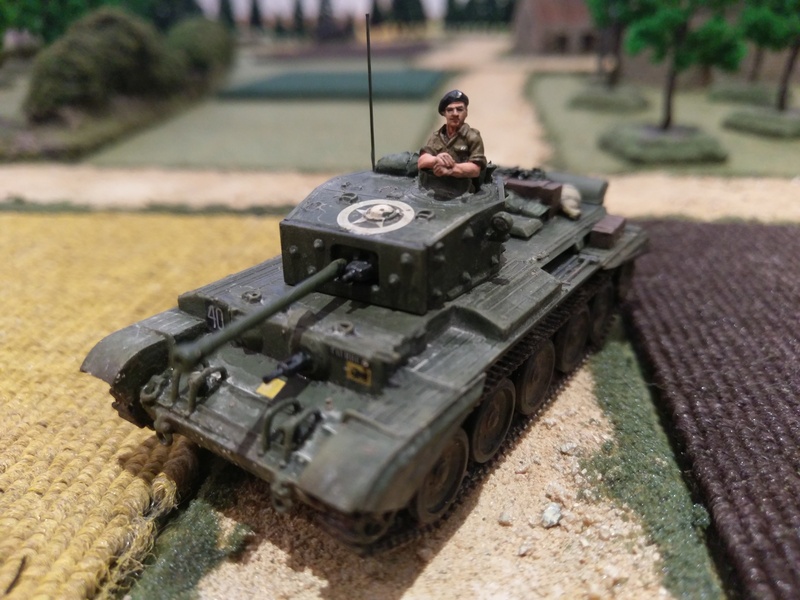 Anyway I did play a couple of games with IABSM recently and thought I would blog my opinions on the system. While some of the ideas and concepts in the rules are good I found that the total random nature of the card activation left me feeling helpless and my decisions on the battlefield became irrelevant. You cannot plan a strategy and the side that ends up pulling out his cards first or more often is going to win. I think there is enough luck and random chance in any rule set that uses dice to calculate results for most actions. You don’t need another totally random procedure in the mix as it just becomes a game of chance. As much as I tried to enjoy the Big Man concept of IABSM it also did not really have much impact on the proceedings as half the time your big men never got activated at the right time. I think having more leaders should give your force more chance of being activated when you want them. I guess I am after more control over my game than the IABSM rules allow. In one game my squadron of tanks activation card came up just before one tea break card and then came up again almost immediately in the new turn. This leads to some units being able to move and attack unrealistically against enemy units in great defensive positions. Movement distances are resolved by a dice roll so I would say that covers the random nature of war enough. Move those troops over there, but if they are not that keen they may not move as quickly or as far as you want them too. 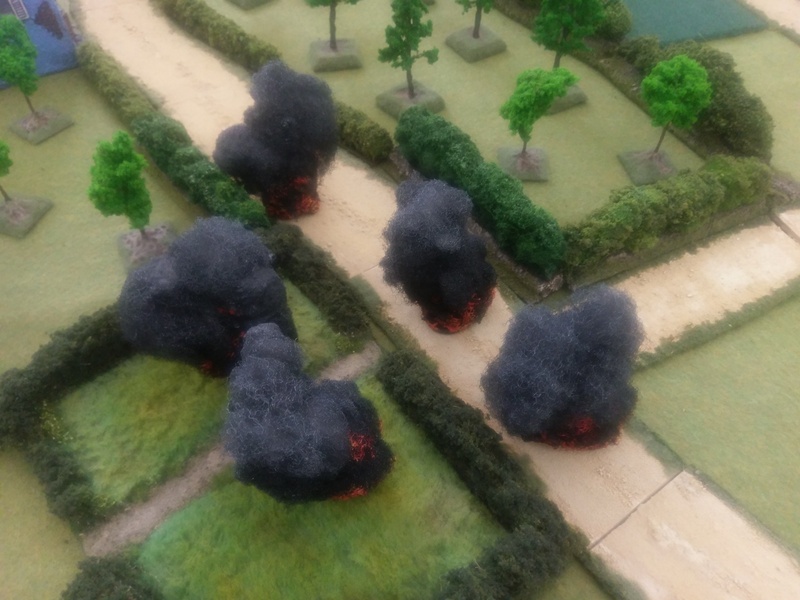 In other instances you can try and coordinate artillery fire one turn but then the next turn your support card or Forward Observer card does not get activated. Its just frustrating and not very real. Especially when a dice throw is already factored into the process. Same with smoke, do you reduce smoke every time a tea break card is drawn? Why cant artillery keep firing smoke once they start even if their card doesn’t come up. Anyway I really don’t like the card activation system its like playing chess with your opponent getting to move three pieces in a row………. On the positive side of things I did like the way in which the rules handle shock, which in turn also ends up being morale. The more shock you take the less useful you are and a side can quickly fold. 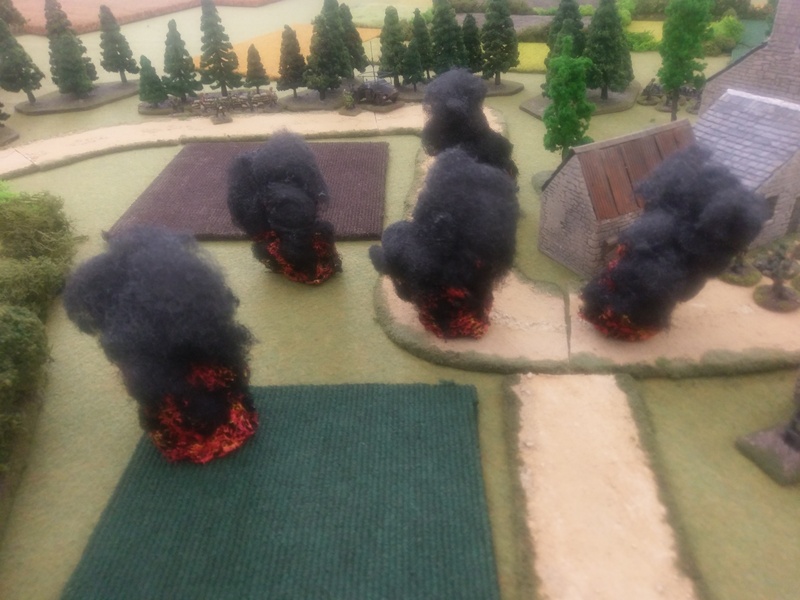 The close combat and firing rules are also good and felt realistic in their outcomes. I also liked the very thorough extra bits you can buy from Too Fat Lardies that detail all the different forces and their organisation. So I guess overall that IABSM is not for me. I do like most of the rules except for the card drawing activation. I think if I just changed it to an alternative IGO UGO format the rules would play out a whole lot better. Those Big Men would have a much better influence on how the game played out and strategies and plans could actually have a chance of success. I like the way Squad Leader uses its leaders and I think the Big Man idea has a chance of working like that. 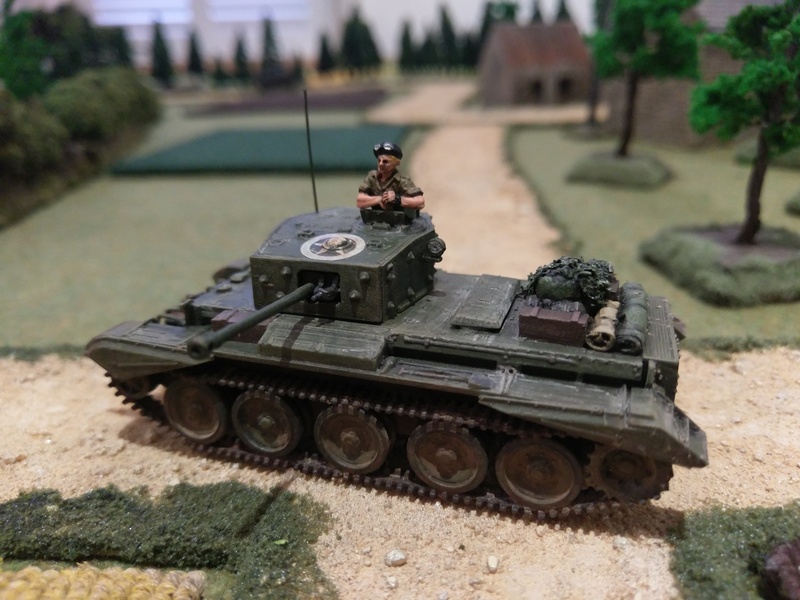 So I will return to the Combat HQ rules for my next game. This has an excellent activation system that finds a balance between luck and leadership and gives you enough scope to make a plan and hope your men do their best! 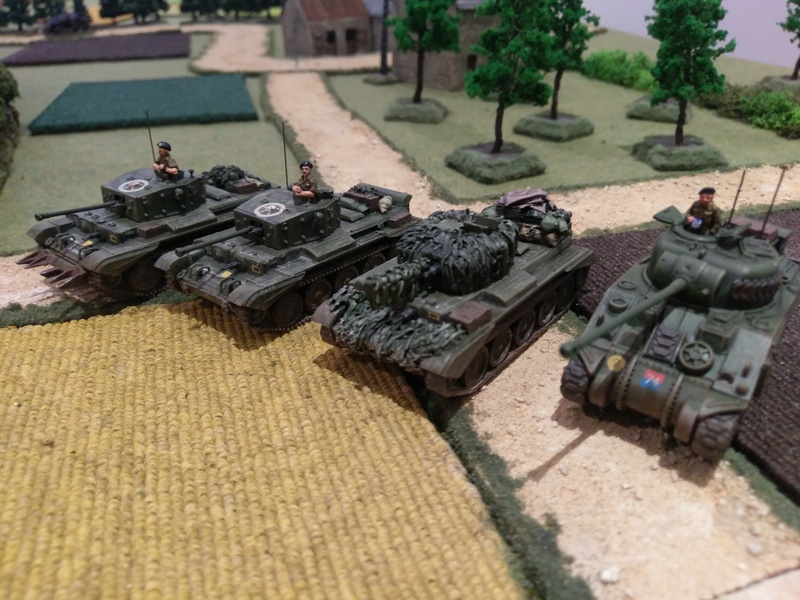 Next blog will be a bit of a battle report from Normandy somewhere. 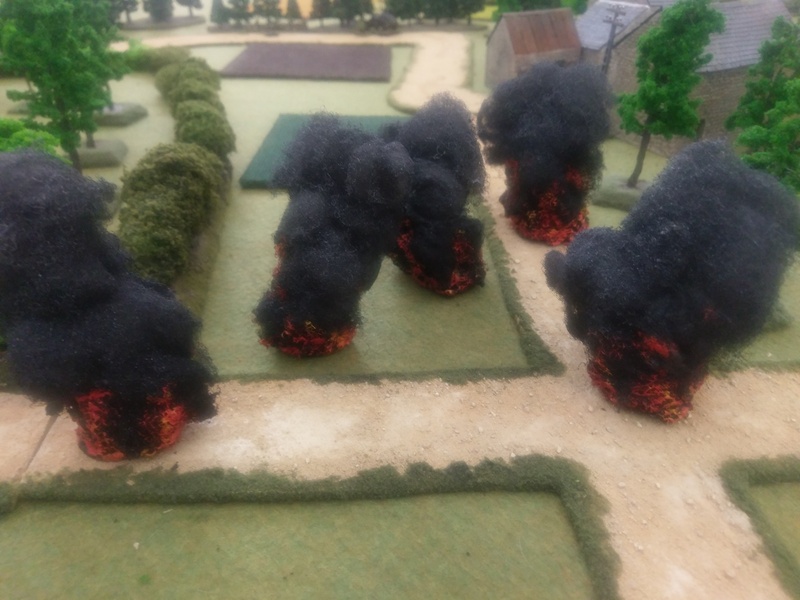 I quickly knocked up some more explosion and artillery markers. Plenty of ways to do this. I used 20 cent coins and super glued twisted bits of wire to the coins to create a structure. Then using poly fibre and cotton wool and lots of PVA glue i wrapped the wire structures up all the way to the coin. When this was dry i added plenty more PVA glue and some sand all around the coin and bottom end of the explosion. This creates a bit more weight and texture nearer ground level. When this is dry i sprayed the whole lot with flat black and then some light grey and some white to add some variation. At the bottom i use red and yellow acrylic paint to represent flames. After that i gave them another spray with some matt varnish. They came out quite well i think – check them out below. I will use them in the game i about to play using Jim Bambras excellent Combat HQ rules. 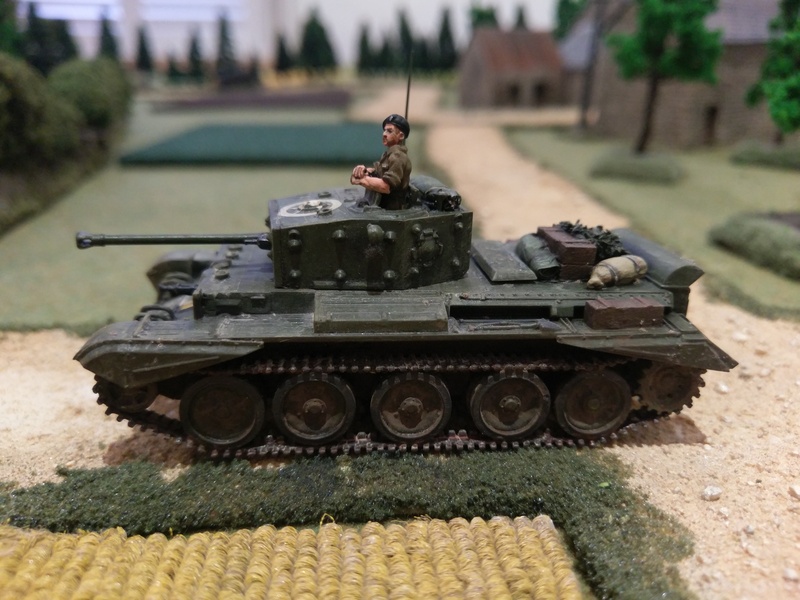 Just a quick update as i finished my tank crew for my troop of Cromwell tanks. 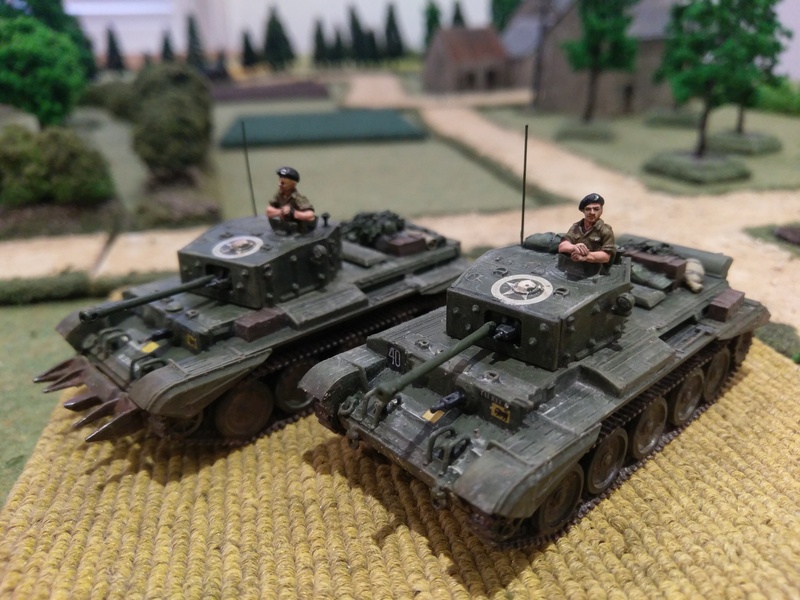 A couple of very cool dudes from AB Figures painted in tank crew khaki. They finish off my two Revell Cromwells nicely i think. Some more pictures below. 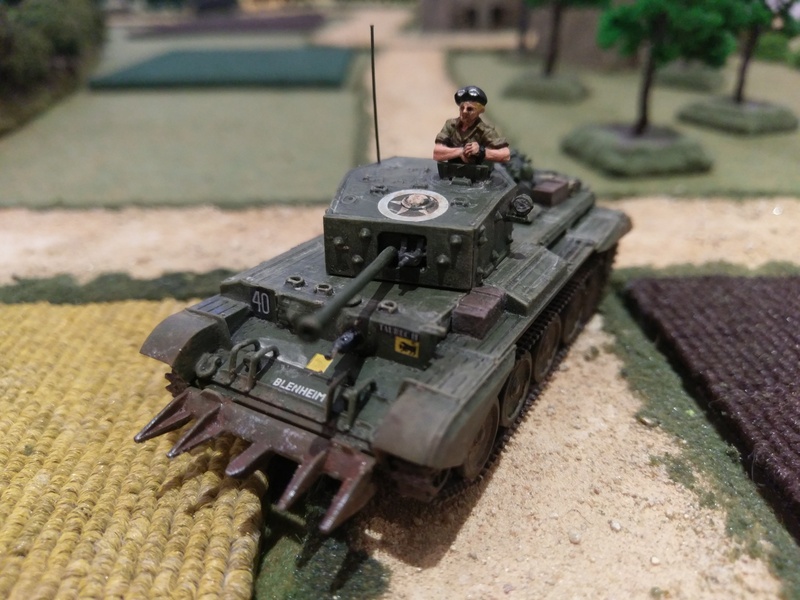 Next up i am hoping to write up an after battle report using the excellent Combat HQ rules. Better get playing!